This cross is the perfect way to share the miracle of the birth of Christ. 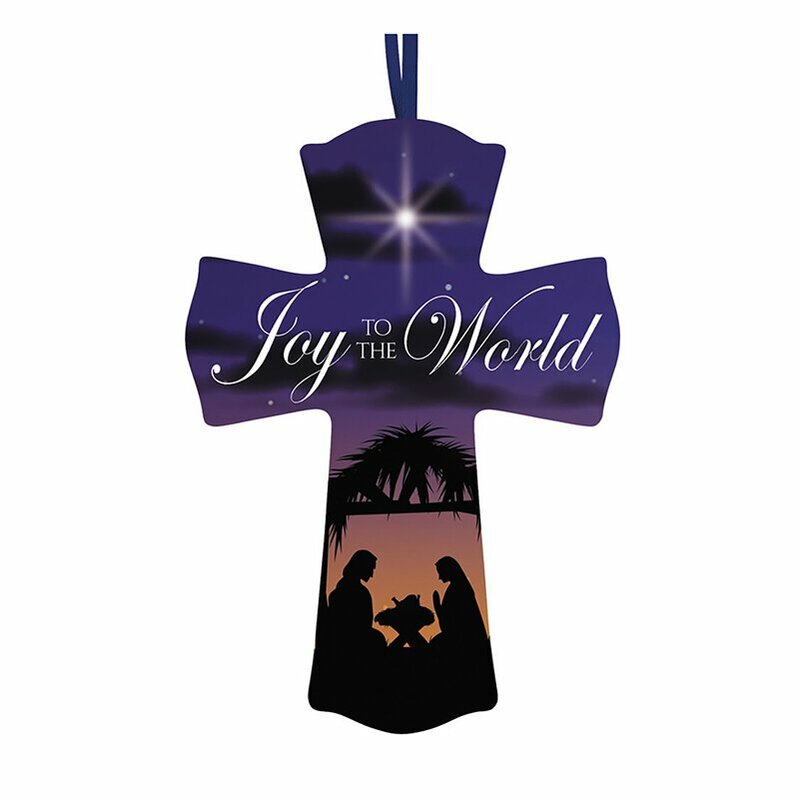 Includes a ribbon hanger, the wording "Joy to the World" and a silhouette Nativity scene. Value priced for give-aways during the Christmas season.